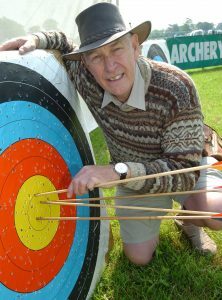 This Longbow Making course is run by Mark Cooper (Master Bowman). Mark will show you how to make a traditional longbow from a single piece of wood. The course is suitable for Adults and some wood working experience is an advantage but not essential. The day takes you through from picking your timber, marking out, shaping to finishing and also tilloring your bow. Everything you will rquire is provided on the day including materials, refreshments and lunch. You will also have a traditional English longbow to take home (worth £200). The Courses runs from 9:30am to 4:30pm and the cost for the day is £220.